Furnishing an apartment or a dorm room can be daunting. If the place is unfurnished, it can be challenging to buy furniture and afford a college education at the same time. There are still ways to decorate and furnish a dorm room without breaking the bank. Habitat for Humanity is a place where large pieces of furniture are donated to be resold. There are couches, tables, bedside tables and lamps available as well as a variety of light fixtures and wall art. One of the best features about Habitat for Humanity is that every 30 days, the original price is reduced, up to 75% off. 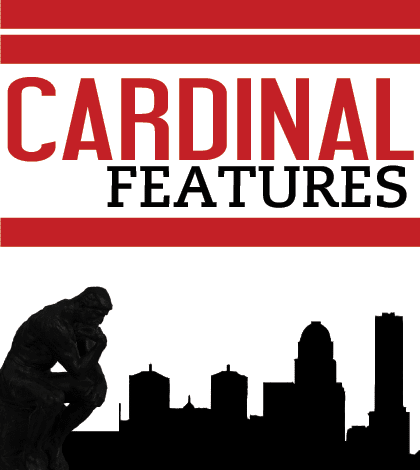 There are several locations near U of L, including directly across from Papa John’s Cardinal Stadium. Though it may seem like a scary place, Craigslist can be a vital tool, given the proper guidance and awareness. Artwork, furniture and technology are available all at the click of a button. Simply take the proper precautions and bring a friend to pick it up if you deem it necessary. Sometimes the best thing to do is bring things from home. Chairs and coffee tables are some of the easier belongings to move. Items like couches may be harder to transport, but it could save money if you have the ability. If you want a more personalized and DIY feel to your dorm or apartment, try some of these DIYs. Clothing hanger necklace holder: Take a wooden hanger and screw hooks into the frame. Now you can hang your necklaces in a space-sensible location. Metallic rope basket: You will need heavy, natural rope, tacky glue and some kind of metallic glitter ribbon. Start by wrapping the rope in a circular motion. The smaller the hole, the less likely what is put in there will fall out. After wrapping the rope around to the desired size to make the base, begin wrapping the rope around the sides. Wrap some metallic ribbon around the rope once you have wrapped the rope around a few times. Continue this process of wrapping the rope and wrapping the ribbon around the rope until the desired height is achieved. Ruler picture frames: These are cute, customized picture frames that are easily homemade. You need heavy-duty scissors, hot glue gun or glue, miter saw and rulers or a yardstick. Cut the yardstick or the rulers to your desired length. Glue the sides together, making sure the angles line up. Lava lamp: Though the lava lamp has a very retro feel, it is a fun decoration that will not break the bank and can spruce up a room. You will need cooking oil, water, an empty water bottle, food coloring, glue for the lid and Alka-Seltzer tablets. First fill the bottle two thirds of the way with oil and fill the rest with water. Be sure to leave at least an inch at the top. Then add several drops of food coloring. Next, break an Alka-Seltzer tablet into three or four pieces and drop them into the bottle. The contents will begin to fizz and bubble. Wait until the bubbling calms down before screwing on the lid.